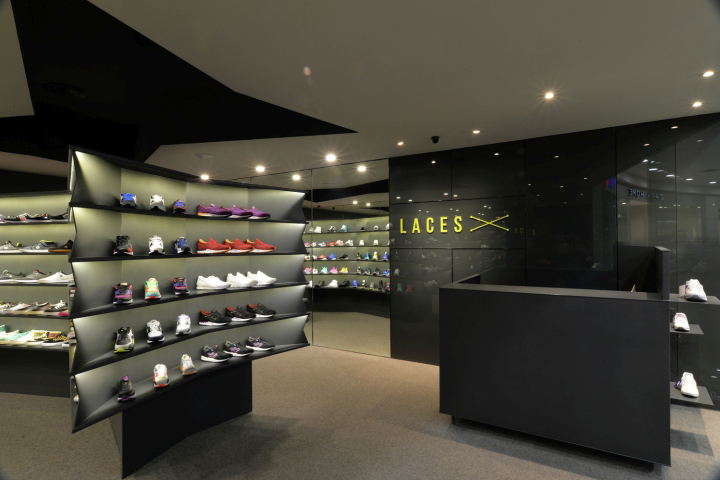 The project was to design a prototype for Laces; a new concept store for special edition sneakers and caps, designed for malls and mostly young consumers. 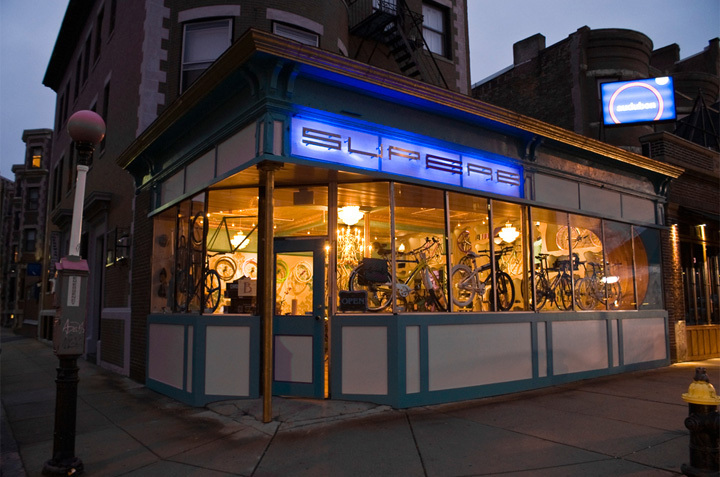 We worked closely with the designer of the logo to seek consistency for the concept of the store, from the graphics to the atmosphere of the space and its furnishings through the geometries, the color and materiality. The initial concept was to rethink the exhibition contrary to as is commonly thought, instead of using walls, a central piece of furniture is placed and the walls are covered with mirrors. Through the reflections we avoid blind spots, generating different visual openings and even an effect of “infinite” at the back, generating breadth and dynamism on the circulation. 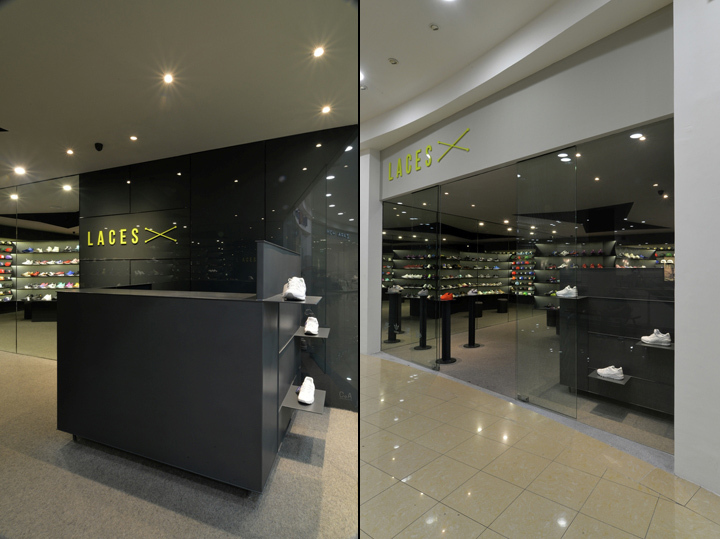 The mirrors are interrupted with gray glass in the rear wall to support and position the store logo. 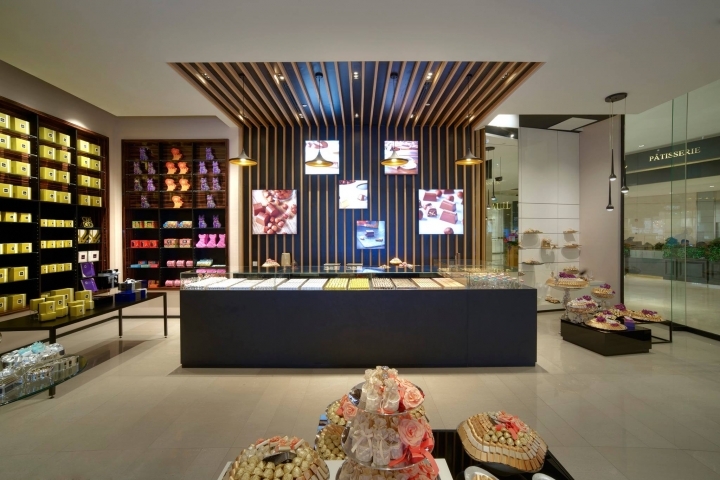 Adjacent to the front entrance, we placed some individual displays for special models and on the opposite side we placed the check out counter, to provide greater control and allow free circulation around the central furniture. 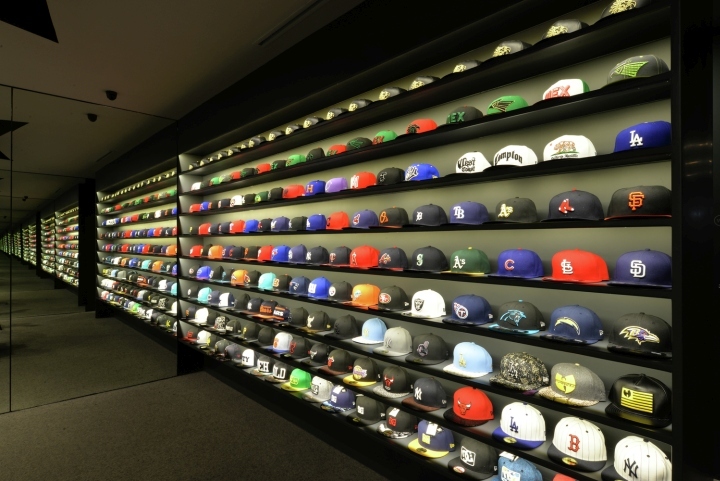 At the back, we placed a shelf for hats. Given the small size of the store, we decide[d] to mark a symmetry axis for the central furniture. It’s broken geometry refers to the logo, responding to the need to divide the display in terms of brands and gender and generating a greater breadth in the central space to accommodate a couple of benches on each side. In the ceiling we design[d] a hole with the same shape as the furniture on the ground, emphasizing its presence. The lighting consisted of LED strips hidden in furniture in order to see only the product illuminated, creating [a] play of light and shadows. The materials are reduced to metal, mirror and glass, on a homogeneous carpet surface. 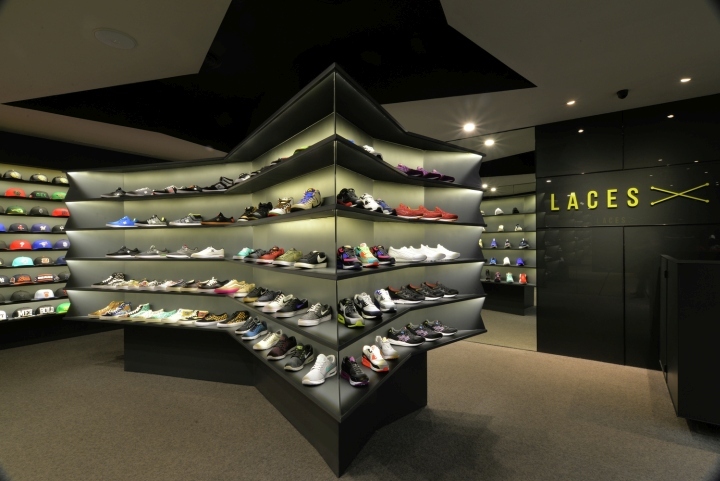 The gray shades serve as a neutral background for the logo in green and the multicolor products on display. 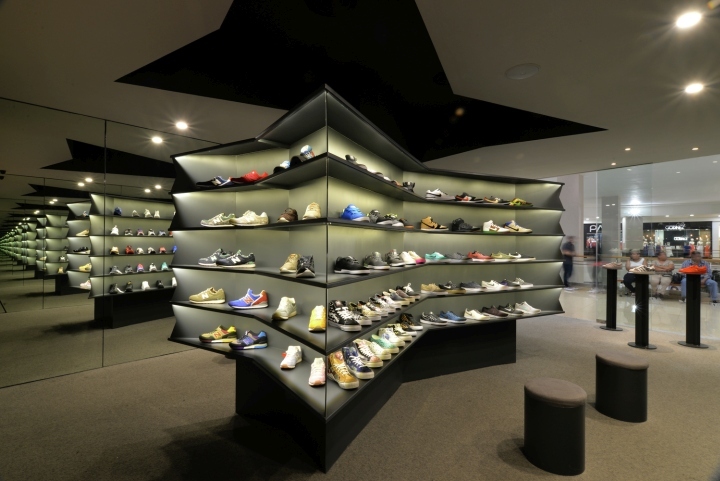 The store aims to offer a special edition product through a different, attractive tour and exhibition experience.